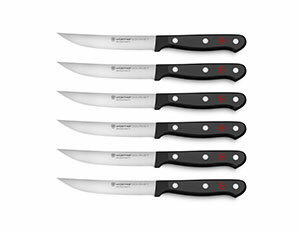 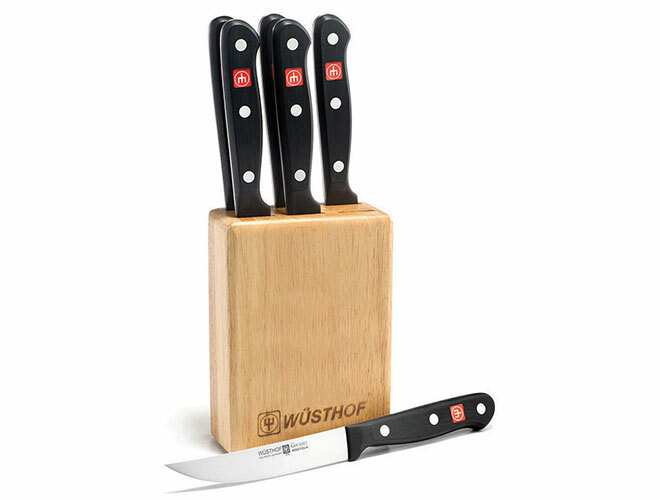 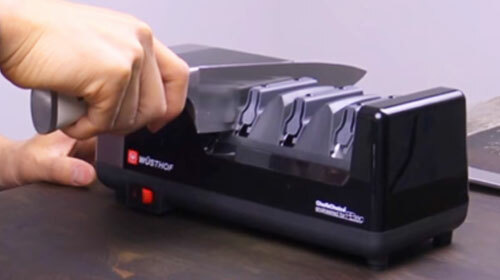 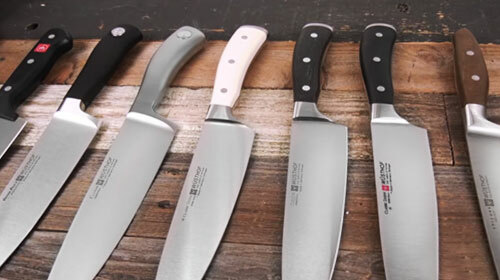 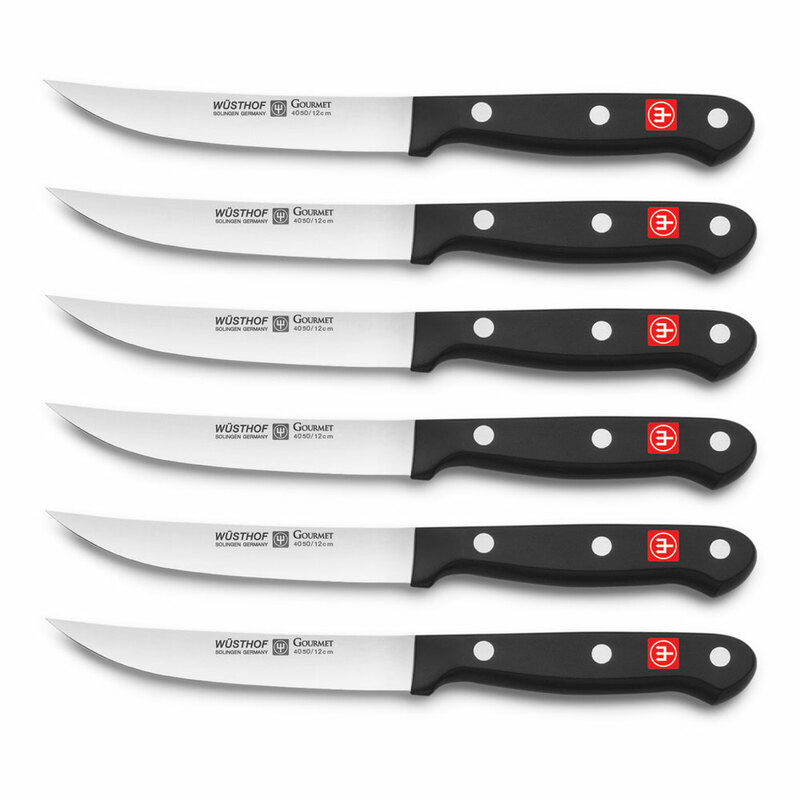 Wusthof Gourmet Steak Knives are perfect for dividing any rib-eye, chop, or roast into bite sized pieces. 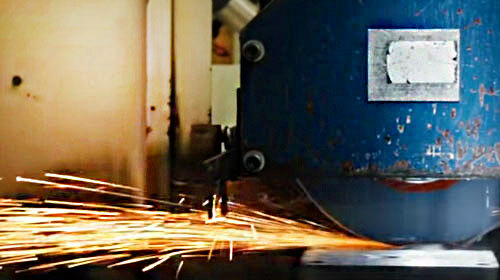 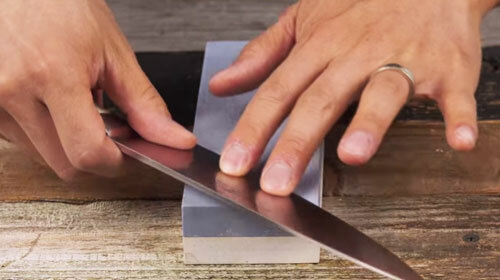 Perfect for precise cutting. 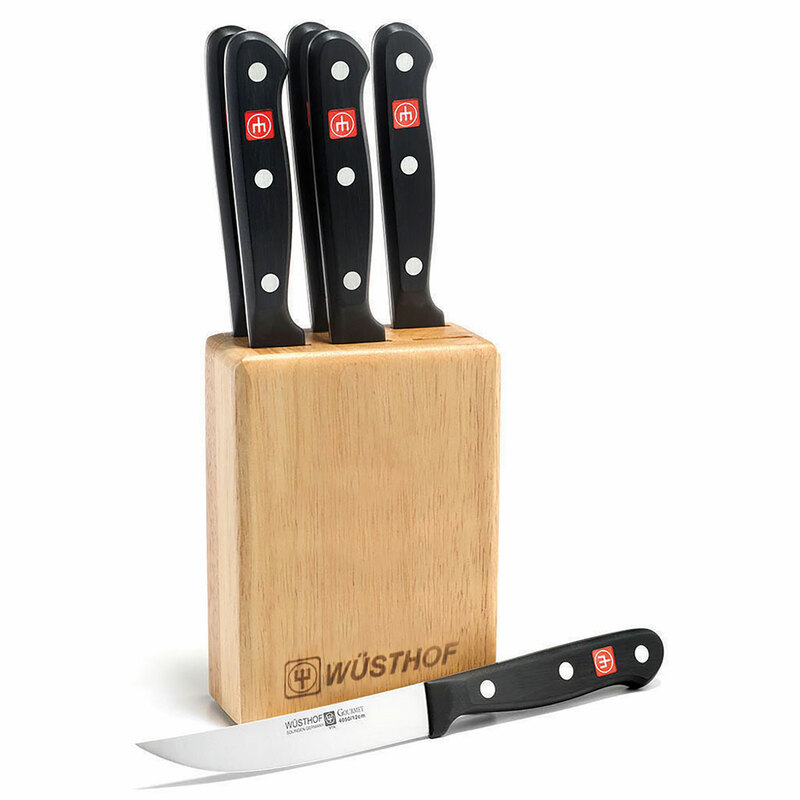 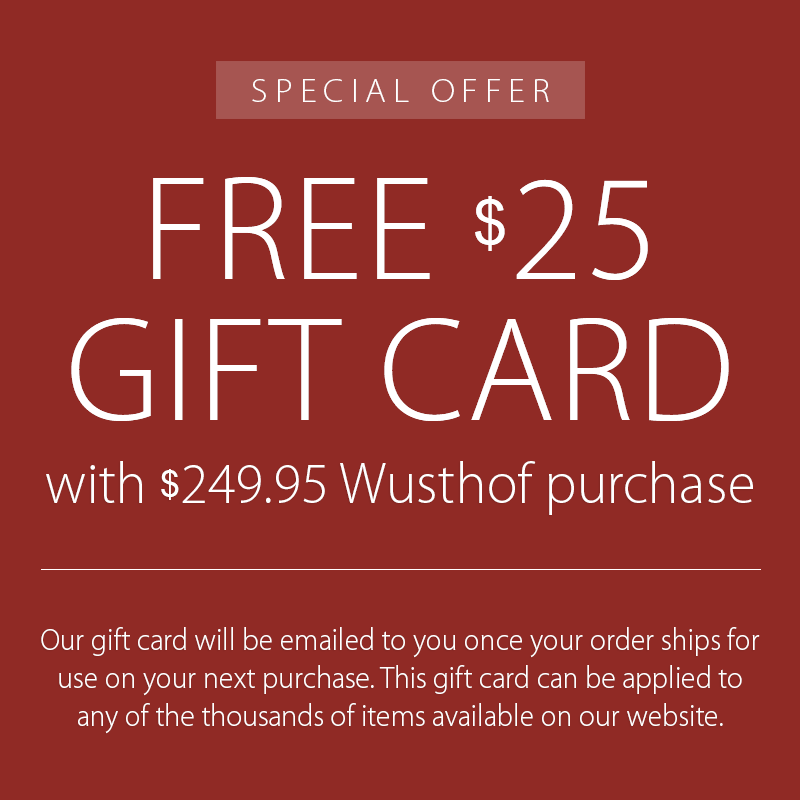 Wusthof Gourmet knives are excellent for balance and maneuverability. 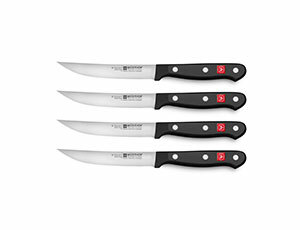 The handles are made of an ABS polymer that is resistant to high heat and high impact for the ultimate in durability, and triple riveted to the stainless steel tang. 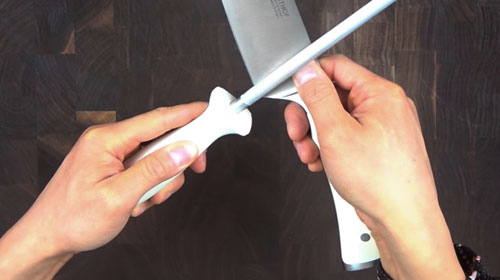 Dishwasher safe, however hand-washing is recommended. 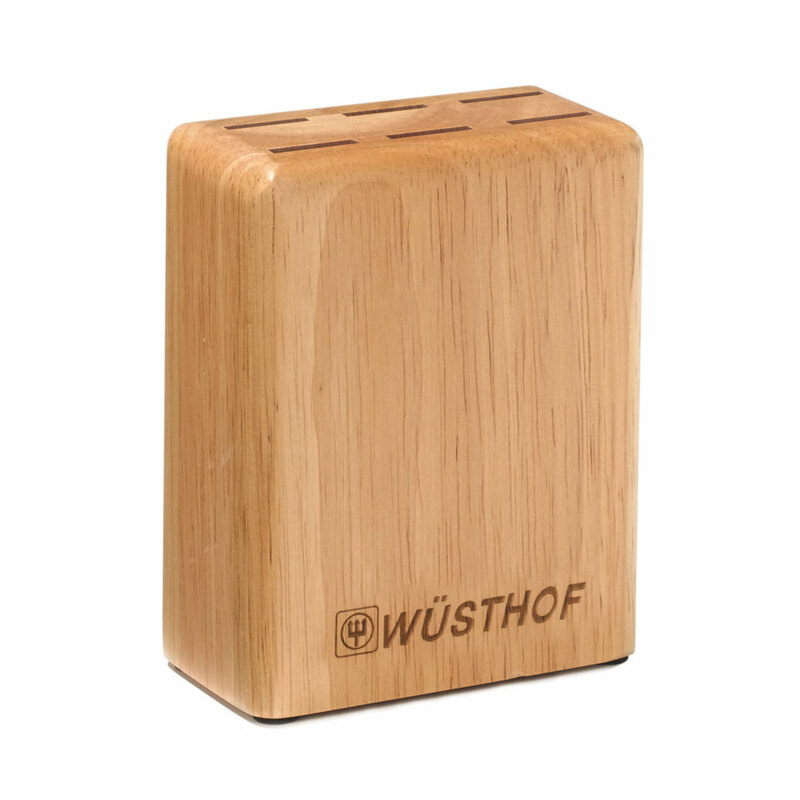 The Wusthof 6-slot Hardwood Steak Knife Block features room for 6 steak knives. Perfect and safe storage solution for steak knives when not in use. 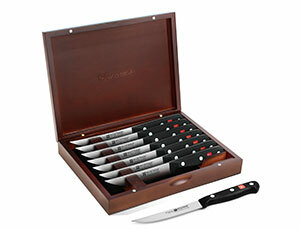 Constructed of natural hardwood, safe and convenient way to store steak knives. 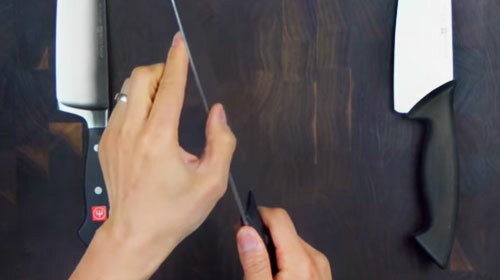 Slots measure 1-inch each.